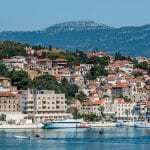 Want to know where to stay in Split? 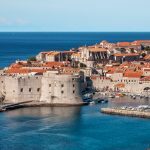 The gorgeous Dalmatian city of Split has a ton of amazing hotels and hostels to choose from and we’re here to help you pick the best! When planning your visit to Croatia, you should definitely include a short stop in the historic city of Split. 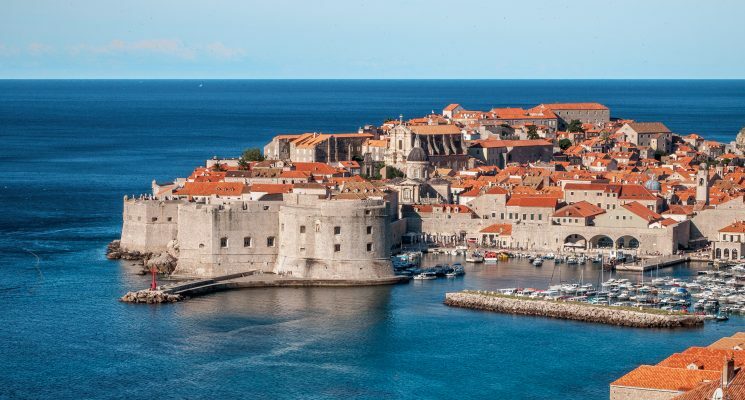 The largest city in the Dalmatian region, Split will surely woo you away with its spectacular beaches, lovely cathedrals, interesting museums and its fascinating Old Town area, comprised of an enormous ancient palace, built in the 4th century by the Roman Emperor Diocletian. We spent about a month living in Split during the summer a couple of years ago, and we fell in love with this spectacular and historic city. From the beaches on the coast, to the maze like corridors of the Old City, Split offers days and even weeks of exploration. 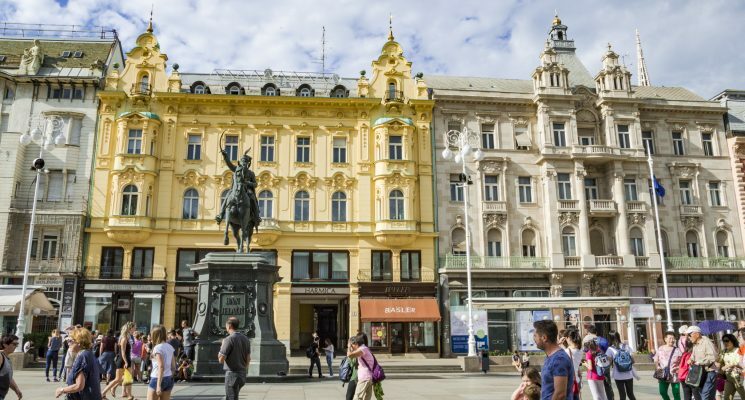 If you’re already set on visiting the second largest Croatian city, the next step after you’ve secured your flight tickets is to look for suitable accommodation. 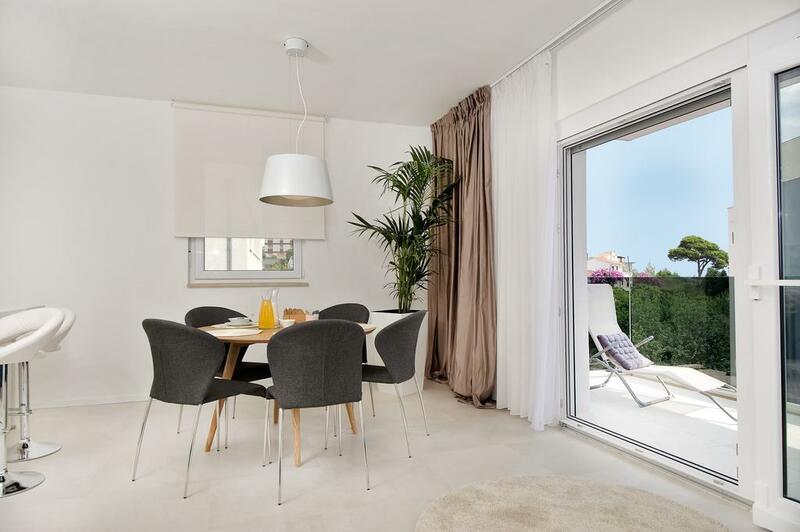 When thinking about where to stay in Split, you need to first assess your budget, and then look for properties which match your financial plans, along with your preferences. If you’re in town for a few days to enjoy the sun, sea and sand, then a beach-side hotel in Split might seem fitting. 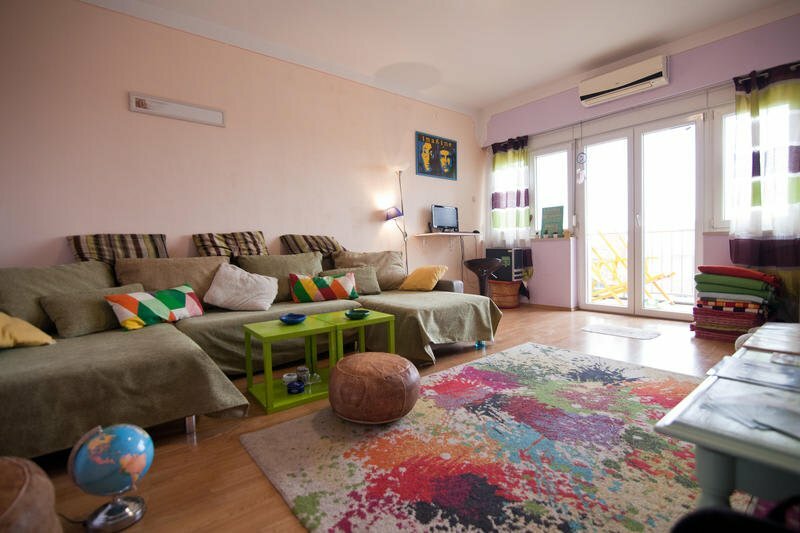 However, if you’re visiting Split to see the sights, you might want to opt for a charming apartment situated right at the heart of the Old Town. 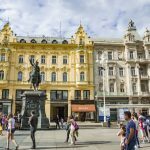 With hundreds of accommodations in Split, choosing the perfect hotel in line with your needs, wants, and budget might seem to be a challenging task at first. To help you out, we’ve handpicked a few fantastic Split hotels and hostels with different features and locations, ranging from low-cost dorms to fancy suites. If you’re not particularly interested in staying in the central core of the city, then you should definitely check out the Hotel Atrium, situated one kilometer away from Diocletian’s Palace. The robust accommodation site is quite beloved among business travelers, offering modern rooms and high-end facilities for you to fully enjoy during your visit. It’s also considered one of the best hotels in Split thanks to its state-of-the-art fitness center, as well as its oversized swimming pool and spa. The air-conditioned rooms are immaculately kept and come with comfy mattresses, flat-screen TVs and en-suite bathrooms. A complimentary delicious breakfast prepared from fresh local ingredients is an additional highlight, and can give you a fantastic boost before you kickstart your busy day of city sightseeing. The best luxury hotel in Split to have a coastal location, Le Meridien Lav Split is the utmost accommodation if you’re looking for some quality beach time. With a wide variety of amenities to offer, chances are that you won’t ever feel bored during your stay, even if you never leave the grounds of the hotel. You can choose between six restaurants and bars, a wellness- and fitness area, as well as access to 800 meters of stunning beach, lined with sun lounges and umbrellas. The on-site tennis courts are also worth mentioning, along with the Water Sports Center, where you can arrange some fun activities for the entire family to enjoy, like sailing or scuba diving. If you’re already splurging on accommodation, make sure you go all the way and book a room with a sea view – trust us, it’s worth it! 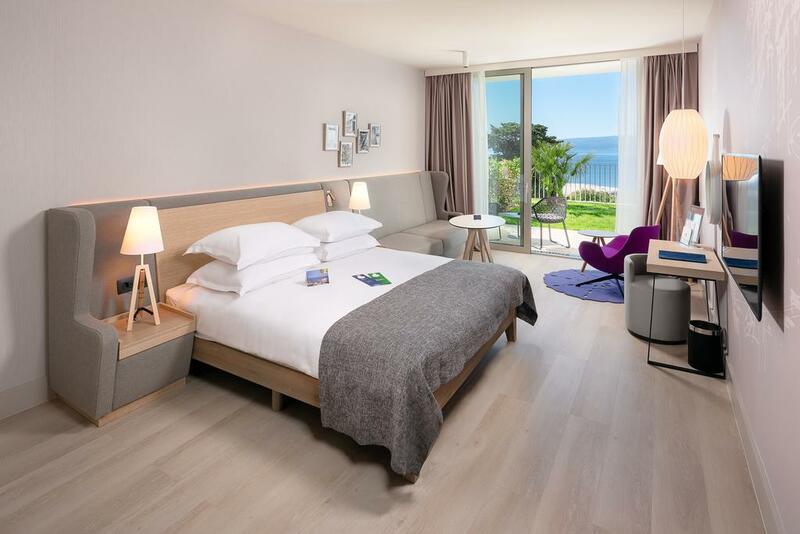 With oversized floor-to-ceiling windows overlooking the vast Adriatic Sea, your stay will be all the more memorable if you can enjoy the unobstructed sea views at all times of the day from this amazing Split hotel. 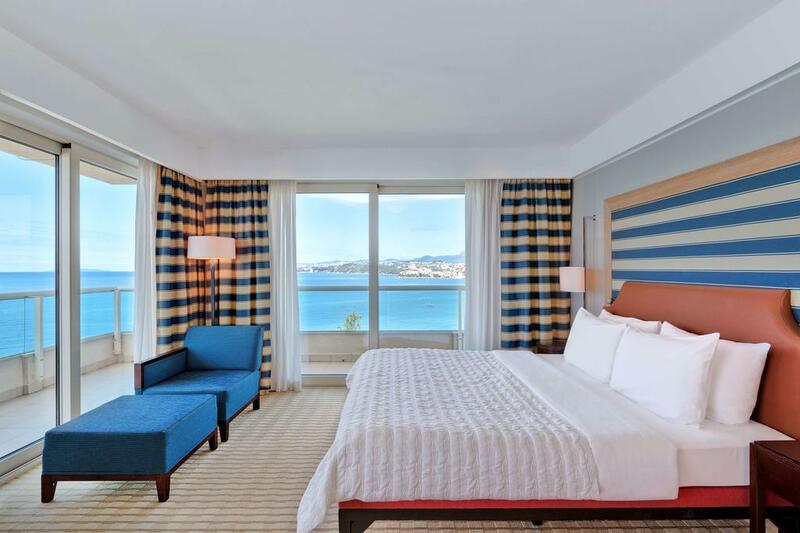 No list enumerating the best hotels in Split would ever be complete without mentioning the impeccable Radisson Blu Resort & Spa, located at the eastern periphery of the city, a few meters away from the nearest beach. The opulent resort is tastefully decorated with the most modern furniture and appliances, to make you stay as comfortable as possible. The enthusiastic and helpful staff is there to meet your every demand, all you need to do is ask. Access to a delicious daily breakfast buffet served by The Fig Leaf Restaurant is included in your stay, whilst The Door Bar is there to pamper you with the finest alcoholic and non-alcoholic drinks. The fantastic outdoor swimming pool, along with the steam baths, Finnish saunas and the gym room are all at your disposal to make your stay even more active and memorable. This Split hotel’s proximity to a gorgeous secluded beach is an additional asset. If you’re not interested in breaking the bank for a luxurious stay at a five-star hotel, don’t worry, because the city is filled to the brim with lodgings which do not actually cost a fortune. One of the best hotels in Split with an affordable price tag is the gorgeous Apartments Deja Views, offering panoramic views of the majestic Adriatic Sea. Whether you’re in need of a stylish place for two or a large place to fit all your kids, this apartment complex has something to offer to everyone. You can enjoy all the benefits of a well-equipped kitchen, where you can prepare all your favorite meals on-site whilst saving a few bucks along the way. The spacious terrace, the separate dining area, the well-stocked kitchen and the extremely clean rooms and lavatory should definitely persuade you to check out this excellent place when debating on where to stay in Split. Another fantastic budget-friendly lodging, the ID Regal Residence is set on making you feel like royalty during your visit to Split. It is situated merely a stone’s throw away from Diocletian’s Palace and other important tourist attractions. 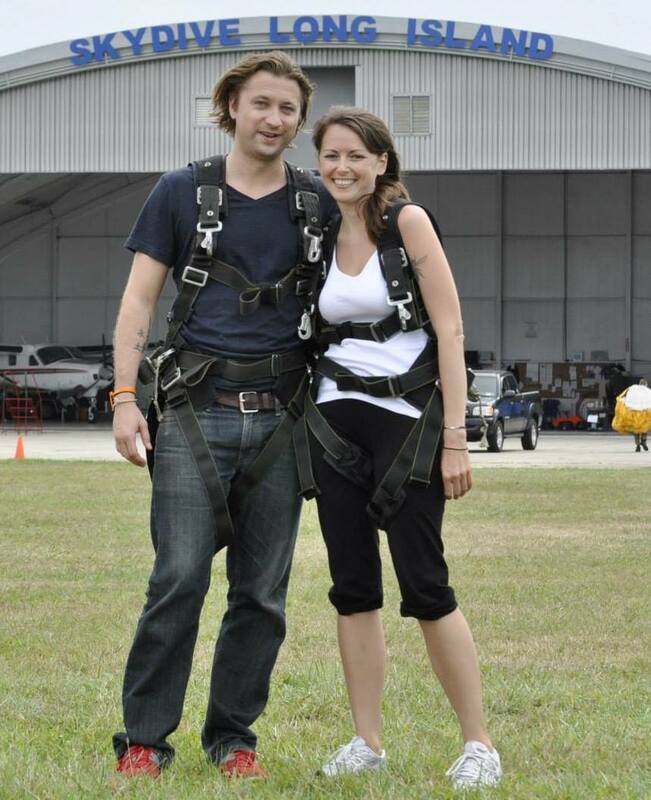 A favorite among couples, the hotel also offers proximity to a few fantastic restaurants, cafes, bars and clubs. Upon arrival at this great Split hotel you’ll be warmly greeted by the manager, who will go out of his way to offer you a fantastic stay and will give you the best tips for your days of sightseeing. The gorgeous rooms are all impeccably kept, boasting comfortable beds with great mattresses, a separate seating area, flat-screen TV sets and on-site washrooms with all toiletries included. The Superior King Rooms are priced at less than 70 euros per night for two people, which we’d say is an incredible bargain for a hotel right in the very heart of Split! Next up we have yet another stunning, centrally-located and extremely affordable Split hotel, the Captain’s Guesthouse. 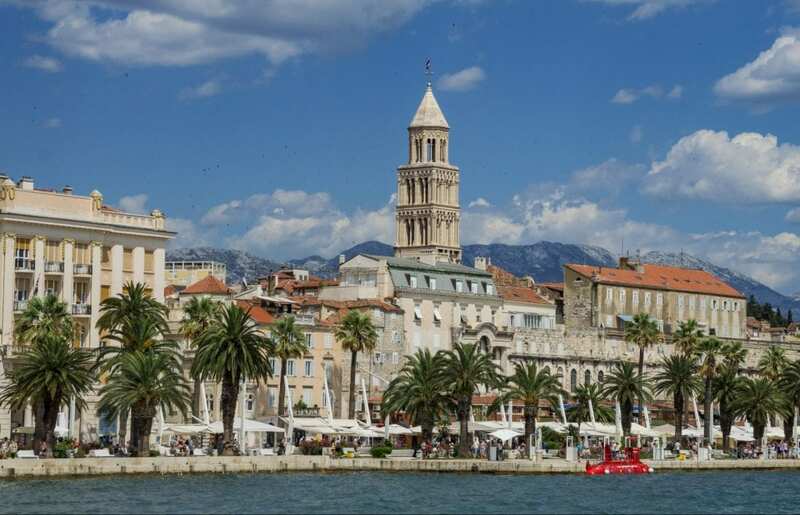 With an unbeatable location 100 meters away from the Rive promenade, known for its wide variety of cafés, bars and restaurants, this accommodation is merely five minutes away from Diocletian’s Iconic Palace. The first thing you’ll notice once you enter the lodging’s doors is its cheerful and tastefully-decorated interior, boasting a generous seating area, a mini bar, a well-equipped kitchenette, Android TV, comfy beds as well as an en-suite bathroom. On the lovely balcony you can enjoy a hot cup of coffee each morning as you admire the gorgeous city skyline. The welcoming staff is another exceptional asset to an already fantastic property, ranking it among the best hotels Split has to offer. 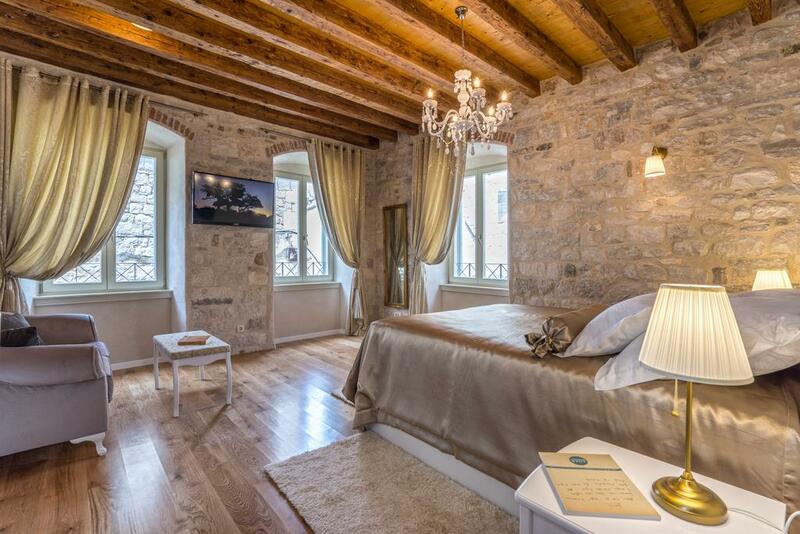 For a completely unique experience, why not stay at the Villa Split Heritage Hotel, located within the grounds of the famous UNESCO-protected Diocletian’s Palace. 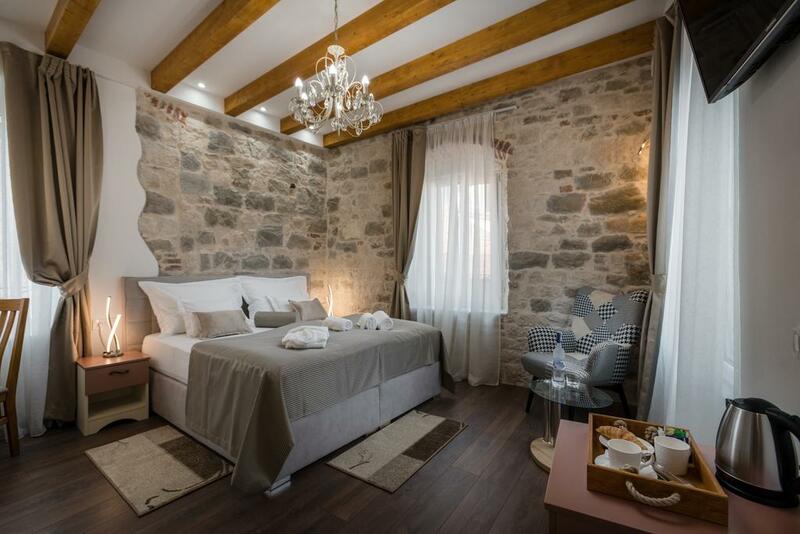 Situated in a historic building, the accommodation tastefully combines a traditional setting with modern furniture and appliances. The hardwood floors harmoniously blend in with the exposed brick walls and the ceiling decorated with wood beams, creating a rustic and cozy ambiance in this fantastic Split hotel. 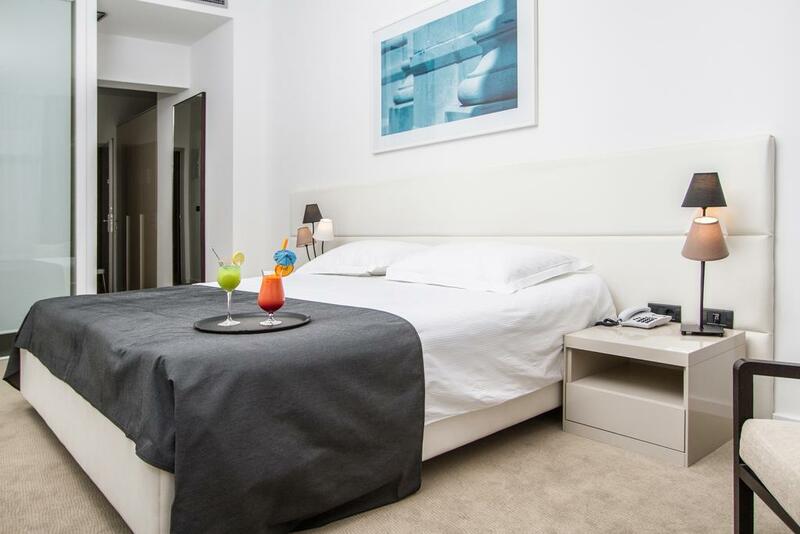 Everything in the room is well-kept and perfectly clean, making it one of the best hotels in Split. The friendly hosts can give you excellent tips for your sightseeing adventures and are eager to provide you with a terrific stay. The complimentary breakfast is an additional benefit to the lodging, and is made up of fresh local ingredients. If you’re really looking to save a few bucks on accommodation, then we definitely recommend taking a look at the wide variety of hostels the city has to offer. You can start with En Route Hostel, considered by many one of the best hostels in Split, thanks to its modern, newly-upgraded interior and great location. 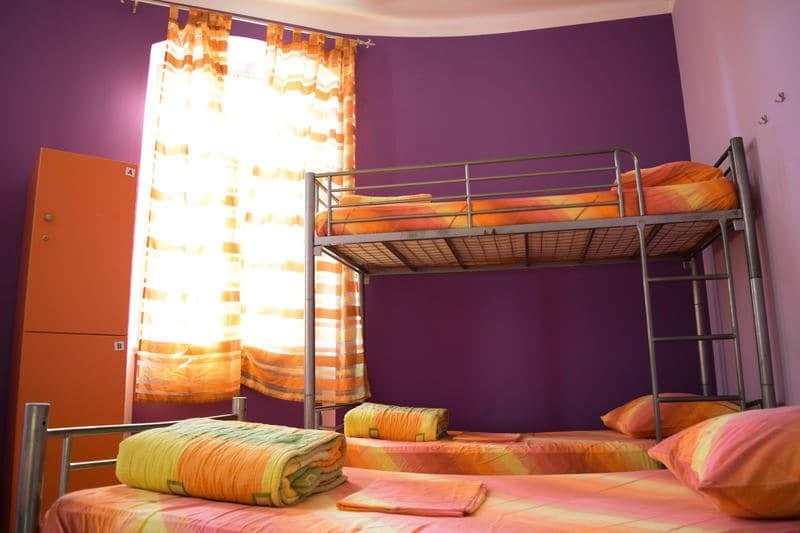 Despite being a hostel, the lodging offers plenty of privacy, thanks to the fact that all beds come with their separate curtain, locking out some of the commotion in the room. Each bed also features a private reading lamp as well as electric plugs for your convenience. The highlight of the accommodation is its highly enthusiastic staff, set on signing you up for the coolest activities in and around Split. Make sure you take advantage of their offer, you definitely won’t regret it! For a very low-priced, but centrally located accommodation, Old Town Hostel is probably one of the best hostels in Split to check both boxes. 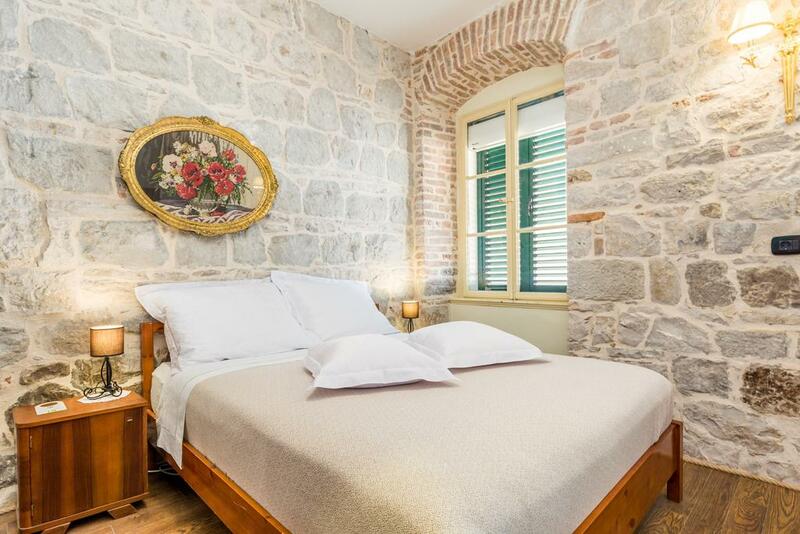 Situated within the walls of Diocletian’s Palace, the lodging offers not only places in 4- and 6-bed dorms, but also private accommodation in the form of budget double and twin rooms. The small lodging ensures a homey atmosphere by the welcoming staff and the gathering of like-minded travelers from all over the world. You will probably feel right at home here and will get quite comfortable, because of the functional amenities and easy access to most of the city’s finest attractions. Thanks to its low price, fantastic amenities and unbeatable location, we definitely rank it among the best hostels Split has to offer! Last but not least, the Backpacker’s Fairytale Hostel is a great place for solo travelers to meet other people from around the globe. It usually attracts a crowd of adventurous youngsters eager to explore every inch of the city and try every activity in the area. The lodging itself offers spacious rooms with comfy beds, vibrant lounge areas and a communal kitchen well-equipped with functioning appliances, so you can leisurely prepare a nice meal on-site. The large storage lockers, the free towel and linen, the generous balcony overlooking the city skyline and the amazing staff only confirm the fact that Backpacker’s Fairytale is definitely among the best hostels in Split. 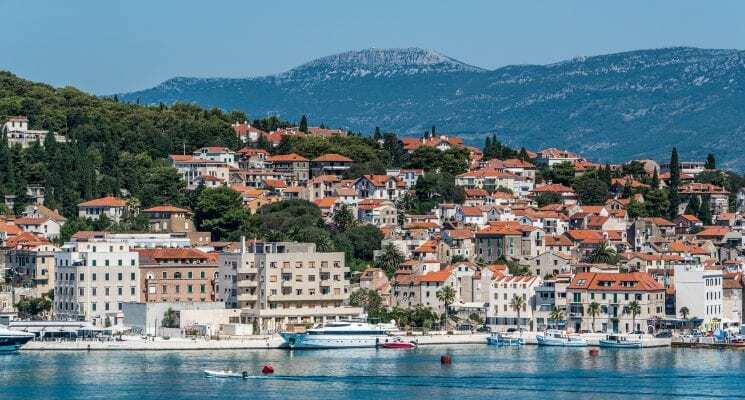 For further recommendations on budget-friendly accommodation sites in the Dalmatian city, feel free to visit our post about The Best Hostels in Split. There you have it folks, our recommendations for all the different places you can stay in Split. We loved our month in this amazing city, and we are sure you will too! As always, happy travels, and we’ll see you on the road!